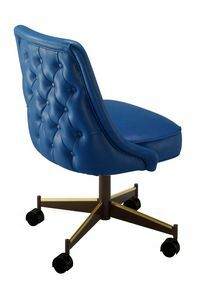 The Topeka dining chair is a wonderful addition to any restaurant, club, hotel, or home. This chair is manufactured to your specifications. This chair features a simple clean look that fits in with any style dÃƒÃƒÃƒÃ‚Â©cor. Shown with a waterfall seat finish. Each unit comes standard with sturdy, smooth, rolling twin wheel casters. Our special twin wheel casters permit easy chair movement on all kinds of floors. Made in the USA.